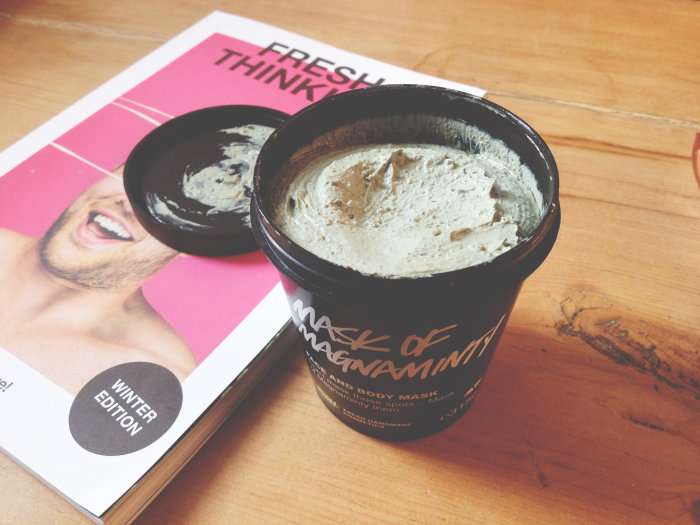 Around Christmas time I was googling the ingredients of one of my favourite face masks from a high street shop to see if it was suitable to give to my vegan cousin as part of a Christmas present, however I was in for a bit of a nasty surprise when I found one of the ingredients turned out to have a bit of a shady reputation! Obviously all ingredients in these products have to pass safety procedures etc., but this made me realise that a lot of the beauty and shower products I use probably contain a whole bunch of chemicals that I don't know anything about. And quite honestly, this scared me a little! So right there and then I decided that in 2016 I wanted to phase out as many of my usual beauty and shower products as possible and replace them with fresh ones, made from natural ingredients. I know I'm not going to be able to replace everything (I don't think I could ever relinquish my trusty mascara for starters!) but hopefully even a small change will still have a positive effect upon my hair and skin. As I believe Lush only use fresh ingredients or safe synthetics in their products, I thought they'd be a good place to begin. I picked up their American Cream conditioner as it had some great reviews on their website, a face mask and the Wiccy Magic Muscles massage bar to go along with their 93,000 Miles shower jelly that I received as a Christmas present. Both the massage bar and shower jelly have warming ingredients to help combat sore muscles so as I'm starting up half-marathon training again after my exams are finished next week, I'm hoping these will help relieve my inevitably sore legs! I also bought the Santa Baby lip tint and their Power lipstick from the Christmas sale. I've been meaning to try out a red lip and I thought these two would be perfect for this. Finally I also bought their Prince Charming shower cream and The Kiss lip gloss from their new Valentine's collection. I've heard lots of great things about Prince Charming so I'm excited to try it, plus I've obviously got to give it some extra points for the adorable Disney-related name! Now off to give these all a go! Hopefully I'll have a review of one or two of these up soon. In the meantime please let me know if you have any recommendations of your favourite Lush products - I'd love to hear them (except bath ones - I don't have a bath unfortunately *forever crying*). I blooming love Lush! I love how unusual and interesting their products are, that they're always bringing out exciting new ranges and scents, and how into their products their staff are (on the rare occasion I've been in when the shop's quiet, it's been interesting to have them tell me a little bit about the background of each product and the sustainable sources of the ingredients). Of course, I also love how many of their products are vegan too - definitely gives lathering up an extra feel good factor! I do tend to go to Lush for bath bombs, but I can't recommend the Rock Star soap enough. I'm not usually a soap person, preferring shower gel, but this soap is worth the switch - it smells amazing, it's honestly up there with Snow Fairy as one of my favourite Lush scents! Trust me, a good scrub with this and you and your entire bathroom will smell b-e-a-utiful! p.s. I have to ask, what was in the face mask? !